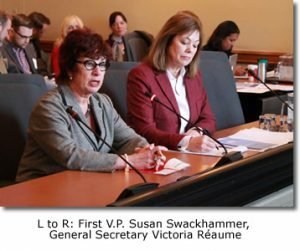 On January 15, 2019, ETFO presented a submission to the Ontario Legislature’s pre-budget hearings. The submission rejects cuts to public services and makes the case for investments in public education. In this submission, ETFO addresses key priorities for elementary educator such as workplace violence in schools, the lack of support for students with mental health issues and students with learning exceptionalities, the importance of reducing class sizes and ensuring sufficient staffing, and the need for a long-overdue independent review of the education funding formula. On August 14, 2017, ETFO released Shortchanging Ontario Students, a report prepared for the Federation by economist Hugh Mackenzie. The report provides an analysis of a provincial funding formula that dates back to the government of former premier Mike Harris in the 1990s. The many shortcomings of that funding formula have adversely affect Ontario’s elementary students. ​On March 8, 2017, ETFO presented a submission to the legislative hearings on Bill 92, the School Boards Collective Bargaining Amendment Act. The bill proposes amendments to the 2014 statute that established provincial two-tier bargaining in the education sector. The ETFO submission identifies concerns with a number of the proposed amendments and also recommends changes to the Act that weren’t included in the bill. 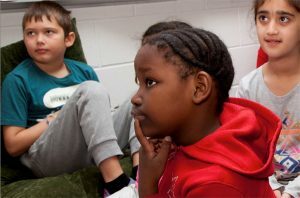 ​​In December 2015, ETFO made the case at the Ontario Superior Court of Justice that the provincial government violated the Canadian Charter of Rights and Freedoms when it enacted unprecedented legislation in 2012 (i.e., the Putting Students First Act, more commonly known as Bill 115) that stripped the education sector of its right to bargain collectively. The decision regarding our court challenge was released on April 20, 2016 and the decision confirms that the Ontario government violated the Charter rights of ETFO and other unions’ members when it stripped collective bargaining rights through Bill 115. On February 26, 2014, ETFO presented its submission on Bill 122, the School Boards Collective Bargaining Act to the Standing Committee on the Legislative Assembly. The brief acknowledges that a legal framework for provincial bargaining in the education sector has become a practical necessity. The previous informal process for discussions with the government lacked clear rules and responsibilities. 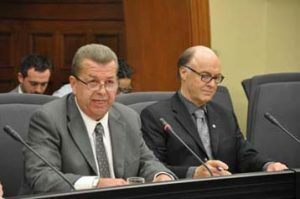 The Provincial Discussion Table (PDT) process was increasingly fraught with problems and ultimately, in 2012, led to impasse between ETFO and the government. With school boards no longer having any ability to raise taxes, the provincial government now has total authority over education funding. ETFO’s submission draws attention to the importance of the provision in Bill 122 that ensures that locals will continue to have the right to negotiate local contract terms and have the right to strike. The brief identifies amendments designed to ensure that the proposed provincial bargaining framework is balanced and fair and works in the best interest of public education in the province. President Sam Hammond and General Secretary Gene Lewis present ETFO’s Bill 115 submission. On September 6, 2012, ETFO made a presentation on Bill 115, the Putting Students First Act, 2012. 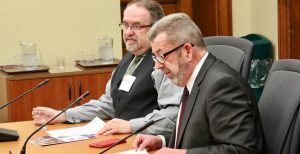 The presentation outlined ETFO’s concerns about the Ontario Government’s assault on education sector collective bargaining rights.